It was supposed to be my Orson Welles moment but what it really it turned into was my Michael Moore moment. While attending Penn State University in 1999, I took a public speaking class and was required to give an “argumentative” speech to the class. While most students chose political positions or causes, I decided to have a little bit of fun and “argue” that Paul McCartney was, in fact, dead. So as we head to the hyper-political year of 2012, I’ll offer this much lighter story about the nature of propaganda to close out 2011. I gave that speech in 1999 with the full disclosure (at beginning and end of the speech) that I had done my own independent research and had concluded, without a doubt that all the “Paul Is Dead” conspiracies were a total farce. This was done in the fashion of Orson Welles, who on October 30, 1938 did a radio broadcast adaptation of War of the Worldsand created mass hysteria as people actually believed the world was being invaded by Martians. The McCartney conspiracy, which exploded in the media in 1969, was actually a lot more plausible, especially when you look at all the visual “proof” left on the latter Beatles albums as well as listen to the strange audio “clues” on those albums. I was finally convinced that the conspiracy was a farce when I purchased The Beatles Recording Sessions by Mark Lewisohnin. This book detailed every single Abbey Road recording session done by the Beatles over the entire career. The Beatles had recorded absolutely everything at Abbey Road with the exception of some early live recordings and the Phil Spector Let It Be sessions (which were also chronicled in the book). But apparently the body of my “argumentative” speech was so convincing that most of the class believed the myth. It wasn’t so much an “Orson Welles” moment as there was no hysteria, but more a “Michael Moore” moment as the young audience was so primed to believe the fantastic that they totally blocked out my disclosures. I was followed out of class, approached on campus, and even drew a small crowd as I spoke in greater detail about certain clues that were most compelling. This went on a the better part of week as some of these students went home and broke out their parents Beatles records to solidify their own conclusions. I again offered my own conclusion that it was all a farce but this was met by blank and confused stares. 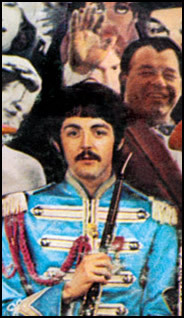 One of these clues was the unmistakable spoken phrase; “Paul is dead, miss him” at the end of the song “I’m So Tired” on the “white” album. “What else could this mean?” I was asked, After all, it is unambiguous.” Of course, explaining the term “metaphor” was to no avail. And so it is, the nature of effective propaganda. I probably could have milked it and built on it with more elaborate conspiracies, perhaps even made a few documentaries or written some books. There was certainly an audience for that. 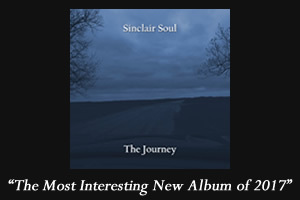 Sinclair Soul is a championship-level background singer and now political columnist for BigBlueBullfrog.com. His column, “The Soul of the Nation” thoroughly examines the state of American politics and culture from a Soul perspective.